A lot can happen in one hour. The earth travels 67,000 miles around the sun. Approximately 12,000 passengers depart Heathrow airport. 270,000 McDonald’s burgers are eaten globally. The world is constantly moving at an ever-increasing speed, and sometimes it seems impossible to keep up. However, there’s one aspect of our day-to-day lives that gives us an opportunity to pause — given we take advantage of it. A lunch break is the opportune time to slow down, prioritize your goals, and get ahead on what really matters. While it’s not easy to form new habits, an hour each day is a substantial chunk of time to make changes little by little for a healthier, better you. 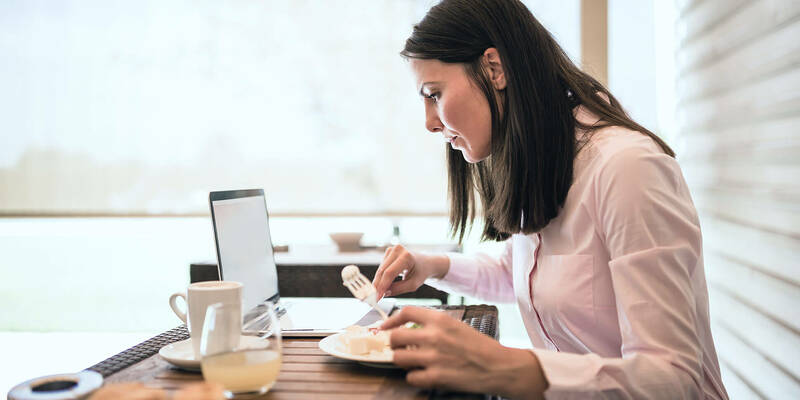 If you work from home, you have even more flexibility to go for a jog, go over your finances, or catch up with a relative you haven’t talked to in a while. The best part is that after a few weeks of implementing your self-betterment lunch routine, it will start to become habit. So how do you decide how to spend your lunch break hour? First, decide which area of your life needs some love. Maybe it’s personal health, or maybe you want to get ahead in your career for a promotion or improve your financial health by improving your credit. Once you decide what area of your life you want to improve, start working towards specific, actionable goals that you know you can get done within an hour. Feeling inspired to seize the lunch break? This infographic breaks down 15 different ideas for how to maximize your lunch break to ensure you’re building healthy habits and using your time wisely. Jeff Smith is the editor at Self Lender.